We're so thankful you continue to support Amver. How do you do that? By enrolling your ships and volunteering to help in search and rescue cases around the world. Why do you do it? Tell us! Now, help us welcome the latest Amver participants! Do you enjoy reading the list of the latest vessels to enroll in Amver? We enjoy bringing it to you. Listing the new members of the Amver system is a tradition that dates back to the first Amver Bulletins in the late 1950's. We're proud to continue the tradition here. Help us welcome the new members. Today Amver turns 56 years old! 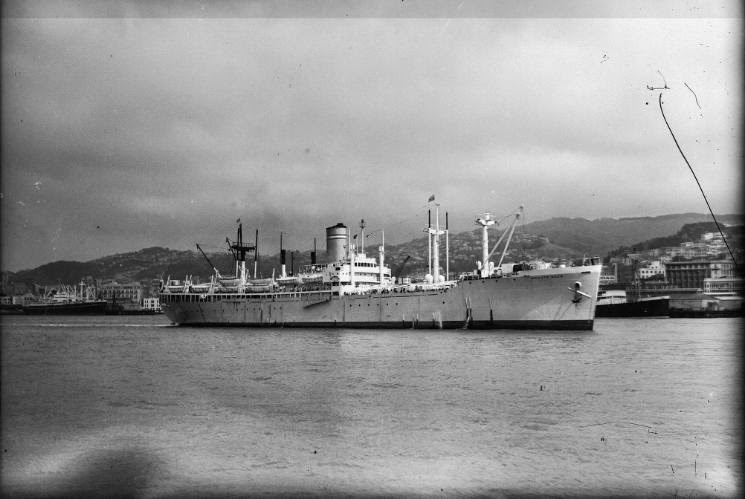 From its humble beginnings as the Merchant Vessel Reporting Program. In fact the first Amver message received in 1958 was from the Dutch liner S.S. Groote Beer (right). Reducing the time element in search procedures through having available a maximum number of vessel positions for immediate use. Improving the probability of successful rescue through prior position knowledge. Reducing the cost of searches through having previous knowledge of distress vessel and rescue vessel positions which enables better control of M/V and government vessel diversions. According to the 1964 edition of the Amver brochure, "It is an established fact that several hundred merchant vessels are sailing in the offshore areas of the Atlantic Ocean at any given time". Commercial shipping traffic has increased as well as the number of Amver participants. In fact, more than 30,000 Amver messages are received each day. Amver is successful because of the ageless tradition of the sea, that no call for help shall go unanswered. Amver is successful because of you. Thank you for helping save countless lives over the past 56 years. We look forward to many more years of saving lives at sea. What if vessels didn't enroll in Amver? Would it make a significant impact on lives lost at sea? According to a recent Amver cost benefit analysis, 25% of all the lives saved at sea are saved by Amver ships and there are approximately 891 lives lost at sea each year. This number doesn't include recreational yachtsmen or migrants. You can see that without Amver, a good portion of those in peril at sea would likely die. Help us welcome the latest members of the Amver network, dedicated to ensuring no call for help goes unanswered. Another nine ships enrolled in Amver in the past week. That's nine more opportunities to save a life. If you haven't considered joining Amver think of this. Your ship might be the only difference between a seafarer, yachtsman or migrant living or dying. Help us increase those odds. The Amver participating car carrier Hoegh Kobe rescued a lone sailor from his disabled 42-foot sailboat approximately 280 miles northeast of Puerto Rico on June 10, 2014. US Coast Guard rescue personnel in San Juan received a call that a commercial ship had spotted a 42-foot sailboat with engine failure and loss of the rudder. The sailor onboard was refusing to disembark the sailboat and declined any assistance from the Amver ship. The sailor requested his situation be relayed to the Coast Guard. Coast Guard rescue personnel contacted the sailor's family and requested the Amver ship to remain on scene as there were few options for the sailor's rescue if it became necessary. The sailor, realizing the seriousness and convinced by a plea from his family, made the decision to abandon his sailboat and board the Amver ship. The survivor was sailing without an Emergency Position Indicating Radio Beacon, decreasing his chances of being located if things had worsened. The 652-foot Singapore flagged Amver ship agreed to transfer the yachtsman in Puerto Rico. A 45-foot Coast Guard boat safely embarked the survivor and transported him to shore where he was met by Border Patrol personnel. He was in good health and uninjured in the rescue and transfer process. 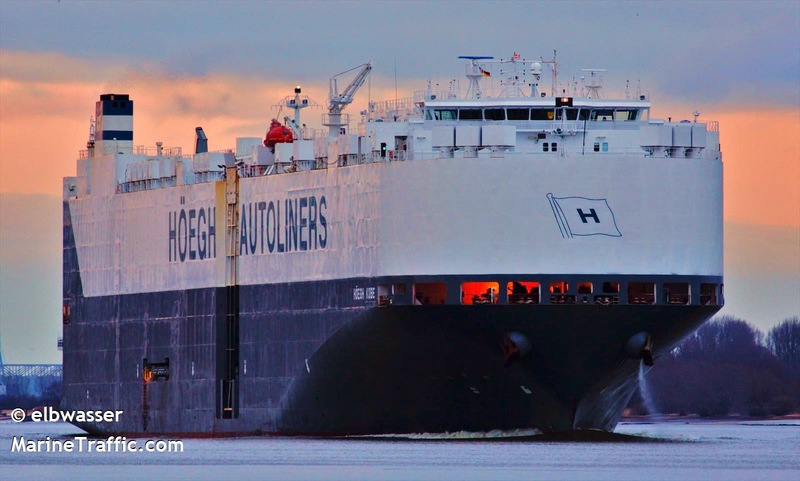 The Hoegh Kobe, managed by Hoegh Autoliners of Oslo, Norway, enrolled in the Amver system on June 16, 2007.
Who joined Amver this week? Take a look at the nineteen vessels listed below. They enrolled, knowing their vessel schedule may be delayed; knowing they may have to risk life or limb in the service of other. If your vessel isn't enrolled, consider joining our ranks, won't you?